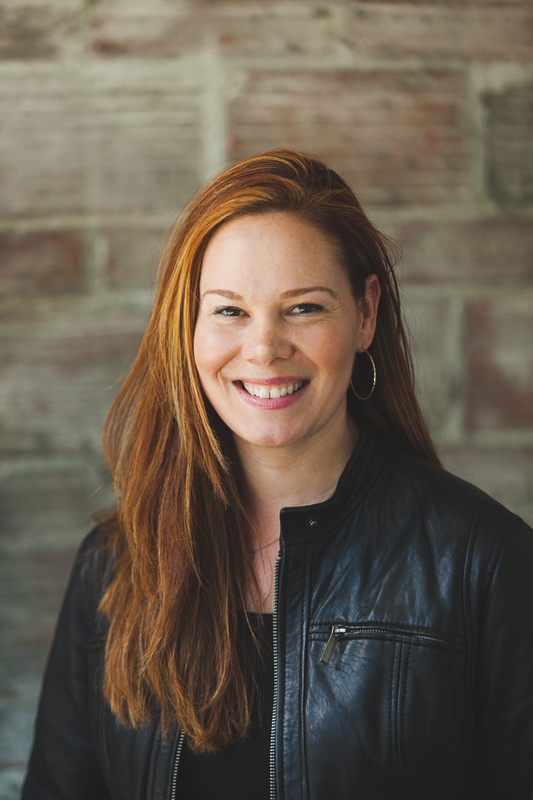 Kristin Smith is the CEO of Code Fellows, a digital trade school based in Seattle. Prior to joining Code Fellows, Smith served as Vice President of Supply Chain at Zulily where she oversaw the development of fulfillment processes, systems, and teams that were pivotal to the company’s rapid growth and sustained success. Prior to Zulily, she held several titles in eight years at Amazon.com, most recently serving as Senior Manager in charge of Product Management, Site Merchandising, and the Design teams responsible for Amazon MP3 and Amazon Cloud Player. She holds a Master’s degree in Operations Research and Industrial Engineering from the University of Michigan, a Master’s degree in Civil and Environmental Engineering from MIT, and a Master’s degree in Business Administration from MIT’s Sloan School of Management. I always loved so many different things. I was good at math and in music. I liked the law and journalism. I liked theater and music but also participated in sports. My dad and my grandfather were both very well educated, hard working, and successful – and my whole family encouraged me to try everything, even if it meant I might fail. And I grew up in a very diverse area outside of Detroit. I think that the combination of this well-roundedness and the ability to break out of the paralyzing fear of failure has led to my being drawn to earlier stage companies and cross-functional, building roles. It’s also led to my being around so many different types of people and enjoying the diversity – of thought, of experience, of motivation, of life. What have you learned from these highlights and challenges? For all of the business, education, technology, and data in my background, everything comes back to people. If you can help people, create great places to work, build a team that works well together – then the possibilities are endless. You also have to let go of the perfectionism or fear of failure to the point where you aren’t paralyzed. Instead, use that deep-seeded anxiety you might feel to better prepare yourself. Use the resources and data that are available to you to dig in and identify, analyze and understand where mistakes might be made – and then find ways to avoid them, so that you’re never at risk of failing in an unrecoverable way. Prioritize the things that you absolutely must do well, and be prepared to learn quickly and iterate on the other stuff. You’ve recently been appointed as CEO of Code Fellows. What excites you about this opportunity? This company is truly special. Coding is a sort of super power, and our instructors are like Yoda, training students how to develop and harness this super power. Seeing our graduates then go out into the world and get great jobs where they get to build cool things and feel extremely valued is so incredibly rewarding. I’m also excited to help companies, large and small, engage these builders and fill the seemingly endless number of open positions that are critical to an organization’s performance and growth. We are in such a uniquely gratifying position – and that keeps me motivated for the road ahead. . We want to continue to grow and scale so that we can bring this super power to more students and expand our universe of partner companies. I’m excited to work with the team to make this happen. How is Code Fellows shaking up the coding industry? Code Fellows gives people who have been teaching themselves from online courses and self-study – or who discovered software development through a class or two on campus – an efficient and practical way to become professional web and mobile developers, or improve their existing software skills and find a job. There are several paths to this, and we’re a part of a movement to offer an alternative to the traditional educational methods. Why do you think coding is so popular, particularly as an important skill in the digital age? Technology and coding is not just for tech companies anymore. There are still so many new products and skills that technology is central to – as even traditional industries that are not thought of as tech industries need software developers. Every business has a website, a mobile app, some systems that run things on the back end, and technology is becoming omni-present. Universities can only graduate under 60,000 computer science majors every year, and the gap between the number of new jobs in software development and the number of people who can do them is widening at an accelerating pace every year. Eventually, coding will be part of the core curriculum for kids as they grow up, but until that time, Code Fellows and other companies like us are trying to help fill the gap. This is always tricky. I’m so fortunate to have an amazing family and great friends as well as a great place to go home to. Once I go home, I try to leave work behind as much as possible and focus on spending time with my family and learning new things (like wake surfing, which I finally figured out last summer) outside of work. It’s not a hard-and-fast rule, but I resist the temptation to be connected and monitoring everything that is going on when I don’t absolutely need to. I’ve been incredibly fortunate to have worked with some of the brightest and most inspiring people who have also become friends. Everyone needs a support system, and having a supportive, safe place to learn, get ideas, get coaching, and talk things through is so key to getting ‘unstuck’ or feeling confident enough to challenging myself. It’s also a great way to face my weaknesses and get help as I constantly try to improve. As a mentor, I also find it inspiring at how much I learn from the people I am mentoring. If you truly listen, you can learn so much, even if you are supposed to be the coach. It’s really a great way to dedicate yourself because you are giving back and still getting so much in return. The female leaders that I truly admire are the women I’ve gotten to see up close and in person. Jane Park, the CEO of Julep, is a good example – though I’ve only met her but a couple of times at Seattle-area events.. However, when you’re in her presence, you can’t help but be inspired. She’s such a positive person and a passionate leader with a driving desire to build things for the world. Also, I once had the opportunity to take a class from Kim Crawford, the former Prime Minister of Canada. She ‘retired’ from politics only to teach at the Kennedy School, start an organization that helps to spread democracy throughout the world, and support women world leaders. She was so giving of her time and her experience just to her students, which was amazing given all that she had done and everything that she still had to do. And then there are the women I’ve worked with – particularly in my time at Dell. Inspiring, smart, driven, well-rounded leaders – as well as great friends and terrific people overall. Incredible. Inspiring. The best is yet to come. 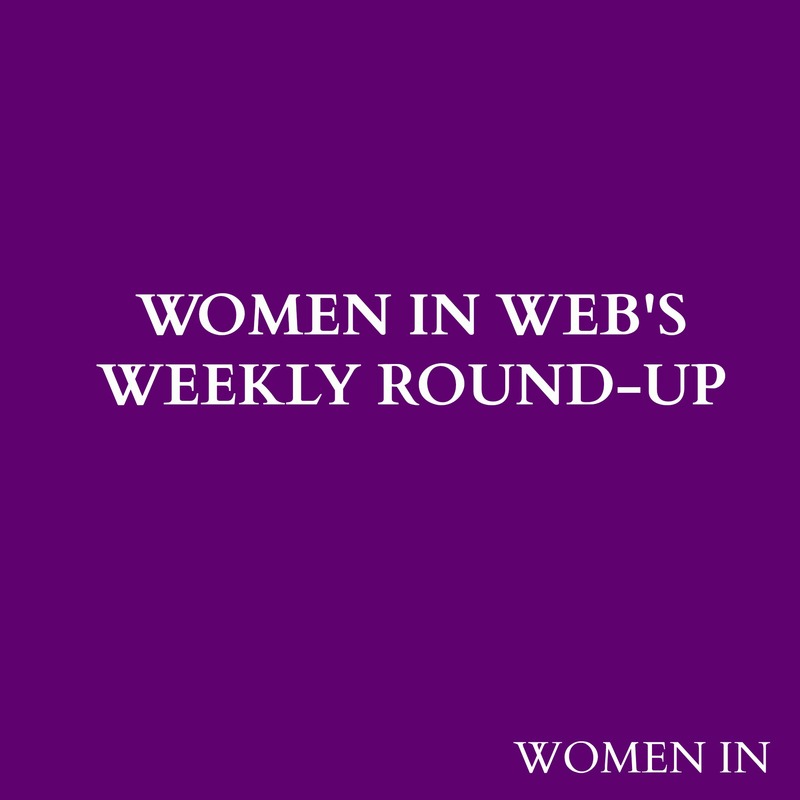 Welcome to the latest instalment of Women In Web’s weekly round-up series. This week we spoke to Gina Nelthorpe-Cowne, Founder of Kruger Cowne. Kruger Cowne is one of Europe’s leading talent management agencies and speaker’s bureaus. Click here to find out more about Gina and her business. We also featured Sydney Carver, aka Summer Wind. Sydney is the owner of the Summer Wind blog, and covers her life and interests in Pittsburgh on a daily basis. Click here to check out why Sydney loves blogging! I grew up in a suburb of Pittsburgh, PA. In 2008, I attended school at James Madison University. During my 4 years at school, I studied Public Relations, Communication and Writing. I also joined Zeta Tau Alpha and was Historian on the Executive Council. I worked hard and made both Dean’s List and President’s List. I graduated in 2012 and moved back to Pittsburgh where I started a career with a luxury event planning company. I am an event coordinator and also handle all of the social media for the company. We do everything from nonprofit to corporate, private parties to weddings and everything in between. I really enjoy what I do! As for Summer Wind, I started blogging in 2009 after my freshman year of college had ended and I had a lot of time on my hand for the summer. When I started, I had no idea I would still be going at it in 2014! But blogging is truly my passion and I am so proud to call Summer Wind ‘mine’. I like to think I have lived an incredible life thus far. I’ve had my fair share of trials and tribulations, but I feel very blessed in that I have great friends, a supporting family, a career that I truly enjoy and Summer Wind, a creative outlet where I find passion. I started off reading blogs for about 6 months before I started my own. Once my classes had ended and I had some free time, I thought ‘why not’. I was majoring in PR and writing and I thought this would not only give me a chance to write everyday but it would also be a creative outlet for me. What have the highlights and challenges been during your time as a blogger? Hmm…this is SUCH a hard question. I think overall, the people I have met and formed friendships with and the people who I may not have met in person, but have created a relationship with through social media/e-mails is truly invaluable. It is a really amazing feeling when someone e-mails me and lets me know they enjoy reading Summer Wind and that we have something in common. I also really enjoy getting to attend events and parties. Going to New York Fashion Week was definitely something amazing. Not only was the entire experience fun, but I am proud that I got myself there on my own, with my hard work and dedication. As for challenges… I hate to talk about them because I never want to seem whiney, but there are definitely a lot. I think the #1 challenge for me is trying to find a balance. Working a high stress, intense job that requires long hours every week plus blogging 5-7 times a week is a lot. I often find myself a little bit sleep deprived and stressed, but when I seen the results of my projects both at work and with my blog, I know it was all worth it. I also think that as a blogger, it’s really neat because I get to wear so many different hats. One minute I am a PR person pitching ideas and sending out media kits, and the next I am a graphic designer laying out all of my favorite shopping finds of the week. Then, you’ll find me as a photographer taking some photos for my blog and then a ‘model’ (I use that term VERY loosely) in front of the camera where I show off some outfits I put together. The challenge comes in when I really only went to school for PR and writing– not graphic design nor photography and I’m most definitely not very good in front of a camera. But, not knowing pushes me to teach myself. I YouTube, Google and read lots of books on photography and graphic design and a lot of other things I need to know. It’s a lot of work and time and effort but it’s fun, too! What advice can you offer those looking to start their own blog? I get asked for advice on starting a blog all of the time. When I started in 2009, the market of fashion and lifestyle blogs wasn’t nearly as big as it is now. I think now, it is really tough to break through the market. But, with that said, I would never discourage someone not start a blog. I always tell people who ask me for advice: start a blog, but not for the money or the ‘fame’ or the praise or the free stuff, but start it for yourself. If you start it for yourself and keep going, your true self will shine throughout your blog and people will be interested and will come back for more! In the previous question I kind of touched on how hard it is to maintain balance. At times, I truly get overwhelmed. When I am sitting at work and I see my blog e-mail count getting higher and higher, it stresses me out. It’s hard to go from being on a computer all day at work, to getting home and being on a computer until I go to sleep. Not to mention, it’s even harder to add in a social life between work and blogging!! Somehow, though, I make it all work. I stay up late, I don’t go out one night a weekend… etc. As tough as it is, I enjoy it and wouldn’t have it any other way. I am a busy body. If you asked any of my friends, they would tell you I am always on the go! I think overall, women are fighting a tough battle in the workplace. With unequal pay still an issue in 2014, and women trying to start a family, I just think it’s all around tough. My friends and I are always chatting about how busy we are and how we cannot imagine having to raise a child, too. I think being a mother is an incredibly hard job and I always ask my mom ‘how the heck did you do it’?! I truthfully have never read Lean In. I listened to her Ted Talk and I think she is an incredibly intelligent and successful woman. I also think she has a very valid point that there are just not as many women at the top. I admire her for pushing women of the world to push themselves to work harder and to make it to the top. As I haven’t read Lean In, I can’t really speak too much on the book, but the entire movement is inspiring. I am all about supporting other women and supporting women in business– I actually work for a woman run business! I think everyone needs a mentor… I think a mentor can be anyone at work, a family friend, etc. I think the people who have mentored me throughout my life have pushed me to work harder and be the best person I can be! I really admire Tory Burch for building her empire. She is beautiful AND smart and has a family, too… she really does it all! Drive. I have an insane drive for success… I’m not sure where it comes from, but I want to be the absolute best version of myself! Gina Nelthorpe-Cowne is Founder and Managing Director of one of Europe’s leading talent management agencies and speaker’s bureaus, Kruger Cowne who represent a stellar roster of over 100 entrepreneurs, disruptive leaders and personalities varying from globally renowned icons and entrepreneurs such as Sir Bob Geldof, Eurythmic star Dave Stewart and Harvey Goldsmith, to Jamie Oliver, Elle Macpherson, current UK World Chocolate Master Ruth Hinks and BBC World Affairs Editor John Simpson CBE. I worked as a part time model and make-up artist from the age of 15 and started my first business when I was 17. With lots of ideas and huge ambition, I started and developed a model agency and a promotions & PR company, focusing on the beauty and fashion industry. With some success and some failure, I understood I had to move on to something new. Working for a boss was never an option for me. I had too much energy and drive to accept defeat by accepting a salaried job. I continued on my own entrepreneurial path, turned to my passion for wildlife and conservation and started the African Wildlife Club. A club for nature and conservation enthusiasts in South Africa. The club offered its members social events, lectures and courses in different aspects of nature and conservation, tours and more. At the height of the business a decision was made for my husband, two boys and I to move to the UK. I gave up everything I knew and loved in South Africa and started a new life in a new country. For once in my life I was stumped and rather clueless as to what I’d do next. Then, as if by magic, my brother-in-law, John Simpson CBE (BBC World Affairs Editor) offered me a part time position as his assistant. I accepted and within the first month, the part time job, turned into a 24/7 commitment. I started to manage John’s life and business and became his agent and so, with one client, started Kruger Cowne Speaker Bureau and Talent Management. I’ve experienced it all. Had some good and had some bad. I’ve had successes and I’ve had failures. I’ve met incredible people from all walks of life. Each of these events have made me a richer, better person. I’m happy for learning through my trials and errors. Had it all been plain sailing, who knows where I would have been today. But by choosing never to give up and following my heart, going my own way, mostly, I pursued and achieved. I am a survivor, but having the privilege of meeting some really special people helped me along my way. I believe that not only networking, but also nurturing the right connections is what made me who I am. Working with people as ‘products’, is a big challenge. People have minds of their own, they have emotions and they have wills, but high-profile clients are leaders and they have – and are used to getting their own way. I’ve learnt how to deal with and understand people from all walks of life. I’ve learnt to persevere and I’ve learnt to have patience. Why did you want to start your own business? I didn’t necessarily want to start my own business but have never liked the idea of working for a fixed salary or having a boss. Kruger Cowne just happened as a result of working with John Simpson. I have a huge imagination and my mind is full of ideas. I had to explore some of them and when I did I got hooked to being my own boss and following my own direction. I enjoyed leading my own way an putting my ideas to the test. When I tasted the smallest morsel of success, I had all the ammunition I needed. Luckily, I had the guts and the energy to go with it. What have been some of Kruger Cowne’s successes? Making people believe in us and getting our clients and customers to trust in our ability. Developing a business with a name that is internationally recognised in the industry, which is synonymous with care, trust and knowledge of our products and services. Tell us about your passion for conservation and why it is such an important cause. What advice can you offer to women looking to start their own business? Follow your heart as well as your head. Women have great intuition. If something feels right, give it a try. Don’t give up. If you fail at something, try something new – again and again. It’s never too late to have an idea and it’s never too late to try your hand at something new. Surround yourself by knowledgeable people. Take expert advise, but don’t necessarily take their word as if it’s set in stone. Experts can be wrong sometimes too, but employ the very best people you can afford. Make sure they know and understand their game. Learn from your mistakes and realise that you can also learn from your employees. This is hard, as my husband and one of my son’s are involved with the business too. We are all passionate about Africa and nature though, so we travel back to Africa a couple of times every year to spend time in the bush – I call it getting my ‘bush–fix. Other than that, I’m lucky that my work takes me to interesting places and I work with inspirational people. Even though, I am very busy, I love what I do and therefore, it doesn’t always feel like hard work. I don’t have a mentor. I have been inspired by a great number of people and think I may have learnt things from each of them but there has been no one individual. A number of my female clients are hugely inspiring, but I have to mention, Dr Jane Goodall, DBE as one of the most inspirational women. She is passionate about what she does. She lives and lived her life for her cause. At the wonderful age of 80, Dame Jane still travels 300 days per year, to spread her message, to teach and to protect – all to make the world a better place. I find someone with such incredible determination admirable. And then to top all that, she has a brilliant mind and is one of the kindest and most gentle people I know. Passion, commitment, ideas, patience, understanding, empathy, determination and ambition. Hello there! Welcome to our weekly round-up, and what has been happening in Women in Web this week. We caught up with Allison Dorst, founder of Pinks and Greens. Allison started the business having identified a gap in the market for stylish women’s golfing clothes and, just two months after giving birth to her first child! In a guest post for Women In Web, Boris Wertz, a founding partner of Version One Ventures shares his thoughts on the rise of VC backed female founders and the future of the market. This Thursday’s career development question was about getting you prepared for 5 potentially tricky situations you could encounter in an interview. In a guest post for Women In Web, Boris Wertz, a founding partner of Version One Ventures shares his thoughts on the rise of VC backed female founders and the future of venture capital. 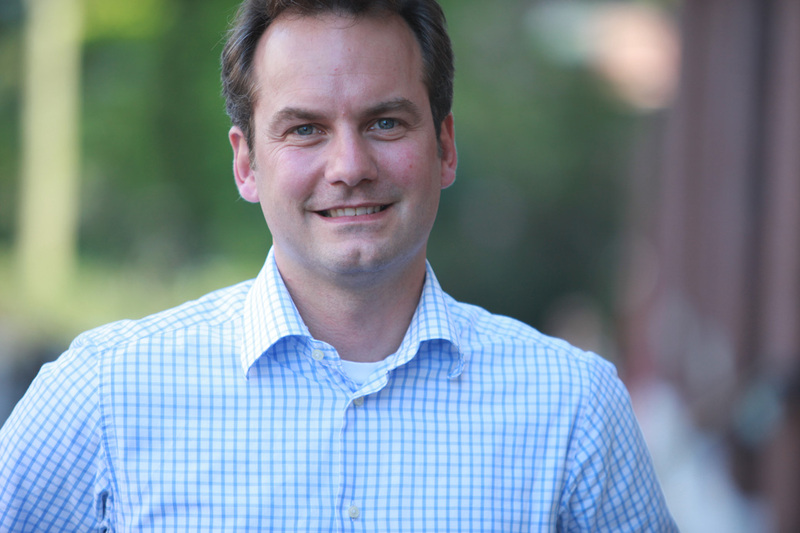 Boris Wertz is one of the top early-stage tech investors in North-America and the founding partner of version one ventures. His portfolio encompasses over 50 early-stage consumer internet and enterprise companies, including Clio, Edmodo, Flurry, Frank & Oak, Indiegogo, Julep, Top Hat, Unbounce, and Wattpad. Boris is also a board partner with Andreessen Horowitz and one of the founders of start-up accelerator GrowLab. He successfully finished his PhD as well as his graduate studies at the Graduate School of Management (WHU), Koblenz, majoring in Business Economics / Business Management. In 2005, Boris was named the Pacific Ernst & Young Entrepreneur Of The Year award winner. How are females changing the entrepreneurial landscape? As investors who seek opportunities in underserved verticals, we are excited about what diversity in gender can bring: new ideas, perspective and approaches to solving problems in areas that may be overlooked by male founders. What funds are available for female entrepreneurs to access? http://37angels.com/: a community of women investors committed to funding early stage startups. http://women2.com/: a media company designed for the next generation of female tech leaders. They hold pitch events at their conferences with provide great PR and exposure to VCs. http://www.girlsraising.com/: a community with online and offline resources to assist female founders in starting, building, funding and growing their businesses. What valuable advice can you offer to women who are seeking funding? Advice is not gender specific, but in some cases women may have to overcome stereotypes as they seek funding. Understand the technology stack of your product well. You don’t necessarily have to code, however, you must be able to communicate not only what your product does, but how it does it. Find the right balance of confidence and humility. We so oftentimes see founders (both male and female) come in over-confident, which ultimately only hurts their pitch in the end. Tell us about some of the projects that you are investing in. What is the future of venture capital and female entrepreneurs? Women have been underrepresented in both tech and management. As a result, the types of startups led by female founders have been limited to selling to a primarily female audience. We are now seeing, however, women build companies across all verticals. This is portrayed even by our own list of female-founded companies above. 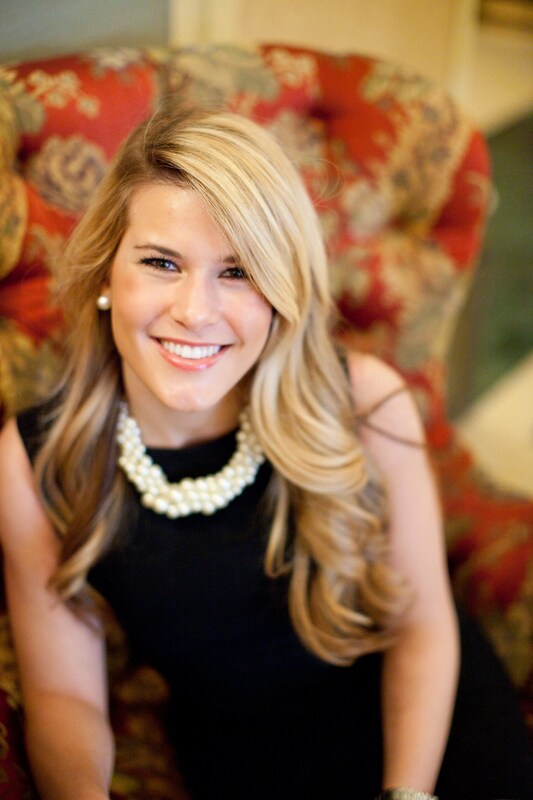 Born in New Orleans, Louisiana, Allison Dorst attended Auburn University and received her Bachelor of Science in International Business. 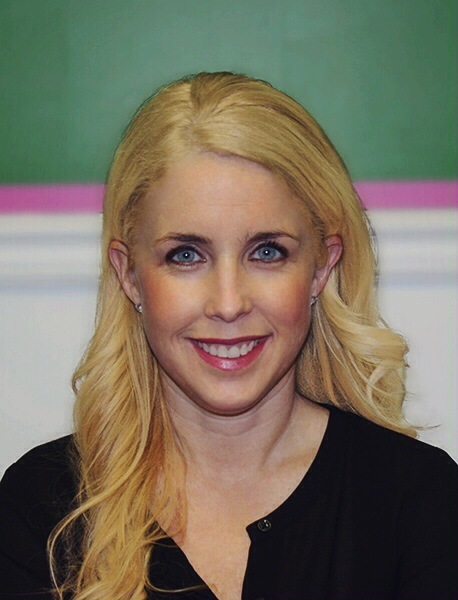 Allison worked for many years as a finance and technology recruiter in New York, during which she created and ran a successful multi-million dollar IT recruiting division. 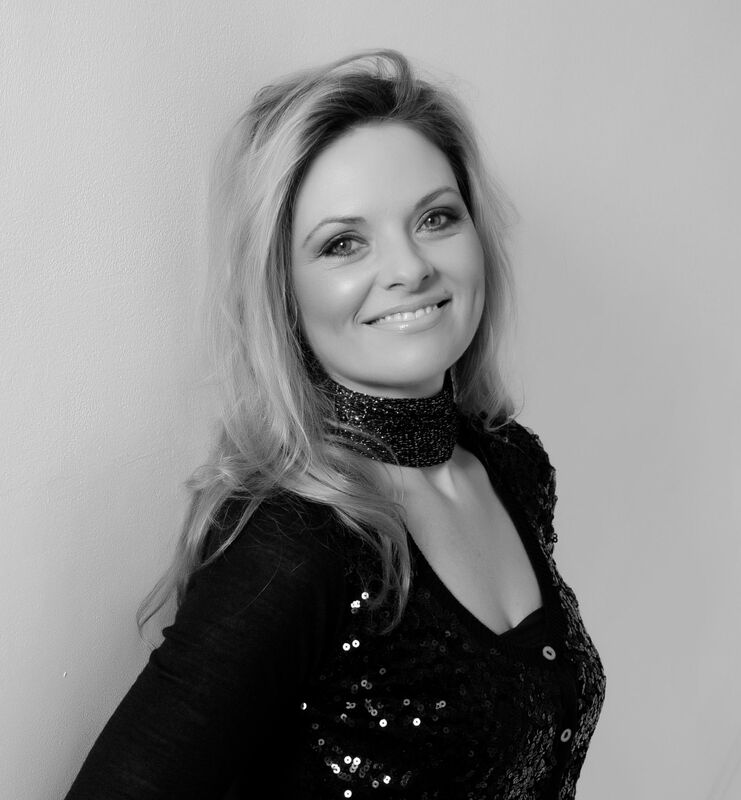 In 2010, Allison struck out on her own to launch Pinks and Greens, and in only 4 short years has grown the business to become the premier online destination for stylish women’s sports and active-wear, with over 100 brands for Golf, Tennis & Fitness. I started Pinks and Greens because I was growing frustrated with my inability to find stylish golf clothing. Men always seemed to have plenty of options, from the big-box stores to pro-shops and even online; yet, women seemed to be left behind. Seeing this gap in the industry, I jumped at the opportunity to create a business that would fill the gap and change the sport apparel game. I launched Pinks and Greens from my 1 bedroom Manhattan apartment, just 2 months after giving birth to my first child. It was definitely a learning experience but I loved the challenges that I faced. From figuring out how to start a new business, to expanding our products to tennis and fitness, everything I’ve done with Pinks and Greens has allowed me to be in charge of my own destiny. I started working when I was around 12 and really, I’ve been working since then. I was always looking for something to do and I always think I had the drive in me to start my own business, but I only discovered it through working in the New York corporate environment. Through working in New York, I saw that my assertiveness and my drive grew over time; it was always in me, but it took me a while to see it in me. I have to say the number one thing I learned is that no one will do it for you. Anything that you want to do is completely on you to do. In any work that you do, you have to give all of your effort into it and know that there is no such thing as an overnight success. It all comes down to hard work and a lot of effort. Like I said earlier,I saw there was a market in the sports apparel industry whose needs weren’t being met and I jumped at the opportunity to serve that market. I had no idea when I was starting out just how large Pinks and Greens would grow and the impact it would have on the women’s sports apparel industry. How is Pinks and Greens transforming the women’s apparel industry? Pinks and Greens is for women, by women. The sport apparel industry is so male dominated that it’s so difficult to find golf, tennis and fitness apparel that is actually stylish! Pinks and Greens is transforming the industry because we offer women, of every shape and size, high quality apparel paired with excellent customer service. We are a one-stop shop for stylish active wear and we carry over 100 designer brands. We believe that all women should be able to play well and look even better. What have been some of the best moments since starting your own business? To be honest, looking back, each quarter since I’ve been in business has had an amazing moment. From having my first customer, to hiring my first employee, every small accomplishment felt huge in the early months when I was working out of my one bedroom apartment. But the best moment for me since starting Pinks and Greens was discovering that there was huge appetite for stylish active wear in the women’s sports apparel market, and some women, particularly women over 40+ were being completely ignored. My number one piece of advice would be to do a lot a research before starting anything. Learn about the industry that you want to go into and talk to as many people as you can find who work in that industry. It’s important to talk about the industry as a whole and all of the pros of starting a business in it but it is just as, if not more, important to talk about the negative aspects. Ask industry veterans what keeps them up at night, what were some of their setbacks early on and what advice they would have to get through tough moments. It is so important to ask these tough questions because the more you know before going into an industry, the better prepared you will be in your business. Wow, yeah that is a real challenge for me. Honestly, right now I don’t have much of a work/life balance because I’m really trying to grow my business. I have two small children at home and while I make time for them, once they go to sleep, I’m back working trying to make Pinks and Greens better. I think (and hope) that a work/life balance is something that will come later in life, once my children and my business are a little older. Mentorship has really made a tremendous difference in all aspects of my life. I am constantly seeking knowledge and advice about my industry and there are so many people who know more than me who have been willing to share their knowledge and advice. I value everyone I have talked to in the industry, new-comers or veterans, because each has something valuable to offer when it comes to running a business. Right now, in the retail industry especially, technology is so stressed but I sincerely believe that the older generation, the industry veterans have such great insight and advice and it is so important to form strong relationships with them. Two female leaders who I really admire is Meg Whitman and Sarah Blakely. Meg Whitman ran eBay and is now running HP and I feel like she is such a great example of a female leader in corporate America; Sarah Blakely, the founder of SPANX, is such a great role model, especially for women because she founded her empire from scratch, all on her own. Both of these women and the work that they have accomplished have helped me become the type of leader, and business owner that I am. Happy Saturday! Let’s take a look back at this week in the world of Women In Web. This week we spoke to Alice Gray, a Neuroscience graduate and STEMinist blogger from Pembrokeshire, Wales about her interest in STEM. Alice has a bright future ahead of her, and our Q&A with her is a must read! We also spoke to Alison Love, an HR practitioner, employment lawyer and business leader. Alison owns her own business, and will be publishing a book in the coming months. Read her Q&A here. This week’s fascinating guest post is courtesy of Natalie Ekberg, a career transition coach and owner of Live Better Coaching. Natalie explains how to use the law of attraction to create career success in this great post! 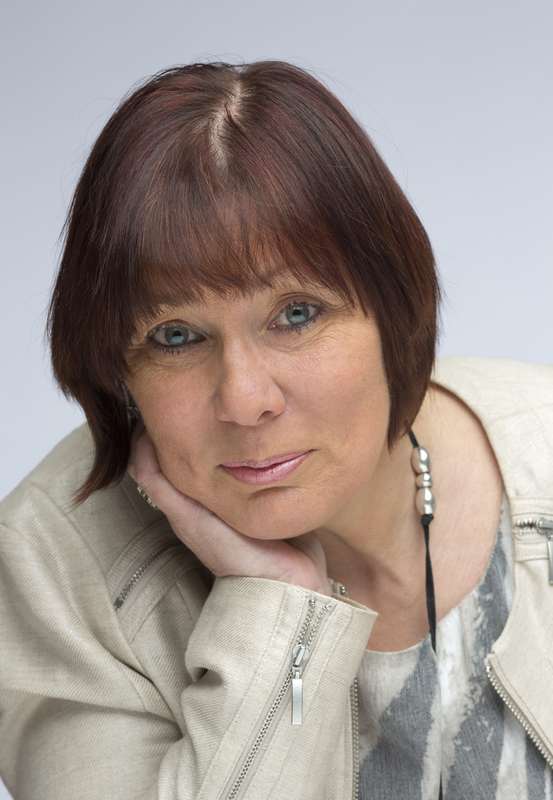 Alison has over 30 years practical experience as an HR practitioner, employment lawyer and business leader. Prior to qualifying as a solicitor she spent 8 years as an HR practitioner in the public, retail and consumer finance sectors. Alison practiced as an employment lawyer for almost 20 years with 12 years as a Partner. 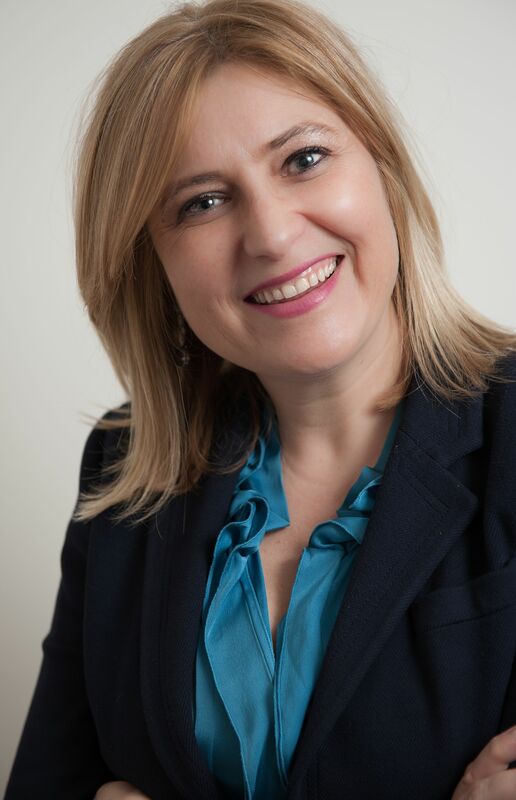 Alison set up her own business (Alison Love Limited) in 2011, providing workplace mediation, conflict resolution training and associated services. Alison is more and more convinced that workplace mediation and positive approaches to conflict management provide a better way to resolve or even avoid damaging conflict in the workplace for the benefit of both business and the individuals concerned; a real win-win. She is also a firm believer that the ability to positively manage conflict is a key leadership and management skill. Tell us about your journey of how you got to where you are today. I went straight in to HR from school following A levels. It was expected that I would go to university, but as I didn’t know what I wanted to do, I joined the civil service and completed the Institute of Personal Management qualification, now known as CIPD. After completing my IPM, I worked for my parent’s retail business; I set up an HR function and acted as a buyer before joining a consumer finance company as an HR executive. I began to regret not going to university by this stage so gave up paid employment to go to Cardiff University to study Law. This was with the view of utilising the employment law element with my HR experience, but I then went to law school and qualified as a solicitor. Twenty years later I found myself as equity partner for one of the biggest law firms in Wales before leaving that all behind to set up my own business. I sum up leaving a successful career and starting on my own in the middle of the deepest recession in the UK as my midlife re-evaluation! I’d reached a plateau in my career; and wanted new challenges. At the same time, I found myself attending two funerals in two months of close colleagues following which I completed a very challenging charity walk along the Great Wall of China. These events were a trigger for reflecting on “what next”. The seeds for Alison Love Limited followed some career counselling with a good friend where we worked out what was important to me in going forward. Alison Love Limited then came to fruition about 8 months later. I provide workplace mediation and associated training, executive coaching and employment investigation services. I love what I am doing, it feels far more positive to be seeking to resolve workplace issues or developing skills rather than picking up the pieces when disputes are heading towards a tribunal. Three years on, the business is thriving and about to enter a new era. I’ve already achieved on of my long terms goals of writing a book. How has life experience shaped you as an individual? If I’m in a situation where people tell me I can’t do things or there is a set back this increases my determination to prove I can do it! There have been a number of situations where there has been a set back and this has often prompted a change and greater determined to succeed and I rise to the challenge. My drive and determination comes from both my parents, in particular my Dad, he started his own business having left school at 14 with no qualifications and built a successful business. My work ethic very much comes from them. As I said earlier, I haven’t taken the traditional route when it comes to both education and career, having gone to university as a mature student and with a number of career changes along the way.When I went to university I did wonderhow I would compete against younger students who had come straight from school. However, it certainly worked for me. I’m prime example that much can be gained from a different approach and changes in direction. Life is too short to be stuck doing something you no longer enjoy or which no longer challenges you. It’s never too late for new learning and new opportunities if you have the desire to create them. What have been the highlights and challenges in your career to date? My challenges are ones that I and many women see as their challenges too. That is managing my career and family, or perhaps more accurately managing the almost inevitable guilt that mothers seem to have. It’s about doing the best you can and realising that sometimes your best just has to be good enough. What have been the challenges in setting up your own business? Learning to do everything for yourself; it was a rude awaking when I realised there was no IT or marketing department to fall back on. In some way, I’ve really enjoyed the learning that this has brought as it’s forced me to gain skills and appreciate that I can do things that I didn’t think I could. This has given me a great sense of satisfaction. The business has now grown to a point where I have to “say no” or rely on others to help. As I can’t say “no” it’s got to be the latter. What do you think are the biggest challenges for women in the workplace today? Whilst women still don’t have parity in the main in the workplace, we women need to worry less about it, stop complaining and just go for it. We should celebrate our differences and prove that we can do anything. What’s been your greatest career achievement to date? I was approached by publishers out of the blue; being active on social media has meant that my business profile reached far beyond the UK. With social media, you can compete on a global basis, and it shows you don’t really need a marketing department. The most important thing is that my personality comes through enabling clients to see the real me. As I control what I write in my blog and tweet feed I can be more creative and I have enjoyed the freedom to develop this. If you are part of a corporate environment, you have to tow the party line as you have to have one eye on the corporate brand. I was approached by an American publishing house to write a book and several drafts later, it is being published! Following the book, I’m now being asked to run mediation workshops in the Hong Kong and Singapore this Summer. Alison Love Limited is really going global, who would have thought that in year 3! What’s the one word that sums you up? The Dalai Lama once said that “in order to carry a positive action, we must develop a positive vision”. This, in a nutshell, describes how you can use the wonderful powers of the Law of Attraction for your career success. In theory, it is very simple. In practice, it requires patience, deliberation and consistency. Once it is mastered, though, you can use this skill for achieving anything else in life, so it is worth trying! 1.) Create a detailed vision of your ideal job or business and put it down in writing. This might sound like something you have heard before, but honestly, how many times did you actually do it? I can tell you from the experience of my clients that those who did this exercise properly got their “career happy ever after” moments in abundance. When doing the exercise, describe your office building, its environment, the vibe and the people, and most importantly, feel the whole atmosphere in your body. If you feel excited about your vision, bingo! That is the right working environment for you. 2.) If you already have a career you like, but you would like to be more successful, you need to define what exactly that “success” means. Is it a higher position, bigger projects, more money, better boss…? Only you know what career success means to you. Again, once you have that vision, write it down and keep adding to it or changing it as you see fit. The important part is to connect emotionally with this vision on a regular basis. Read through it when you wake up in the morning or even when you are on the Tube. What you are trying to achieve is to imprint that vision on your subconscious mind so achieving it will become second nature to you. 3.) Use the power of intention or, in other words, ask for it! This simple tool can give you a huge advantage over your competitors for a promotion or during a job interview. Intend and state how the situation that is important to you will go. You have to be firm and own the process one hundred per cent. You are not asking questions here; you are making decisions. Do you feel the difference in the statement you have made? If you create your intention, stand behind it fully, and go into the situation with that power in your presence, you will get the result you have intended. I have to reiterate: your intent must be strong and you must believe in it; only then can the energy of that intent be transferred. Most importantly, even though the universal laws are always working on your behalf, they can’t do your part for you. Therefore, whether it is an ideal job, success in your career or a fun working environment you want, you still have to go and put your best effort forward to achieve your goals. When you work in tandem with the Universe, miracles happen!